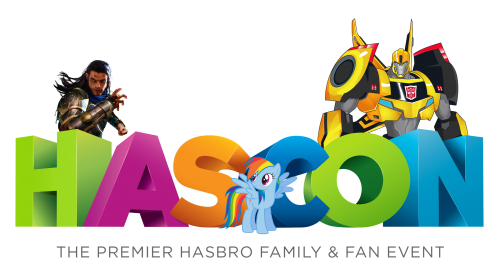 Today Hasbro announced HASCON, a massive event which will be held in Providence at the Rhode Island Convention Center and Dunkin Donuts Center from September 8-10, 2017. The convention will be three days packed with everything Hasbro has to offer from all their product lines, characters, and stories. There will be live interactive experiences, exclusive products, special guests, panels, and everything else you’d expect to find at a good convention. Being Hasbro, it’s a fully family-friendly event. This is one party I’m going to make sure not miss! For more information, and to get on the mailing list for first-notice ticket sales, visit http://hascon.hasbro.com.